The Ashley Furniture Coralayne Dining UPH Side Chair embodies an alluring design with its hourglass profile and high chair back. The classic cabriole legs are completed in a lightly metallic finish. 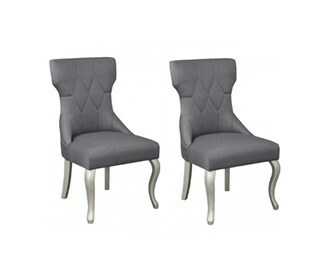 The Diamond tufting adds a hint of glamour, perfect for traditional styled areas.